Pinky Mathope is an optimistic and smart young lady who is currently studying at the Vaal University of Technology as a Metallurgy Engineer. This is a talented woman with a bright future ahead and while modelling and working in Johannesburg, she has also experienced the world of pageantry and is title holder of Miss SA Campus 2010. 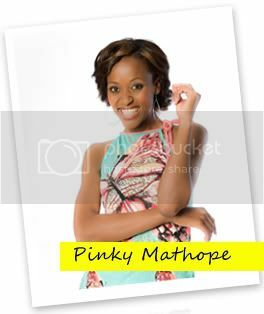 Pinky is slim, gorgeous, and has distinct features and at just 21 years old she believes her vivacious personality and passion for life will set her aside from the rest of the crowd.